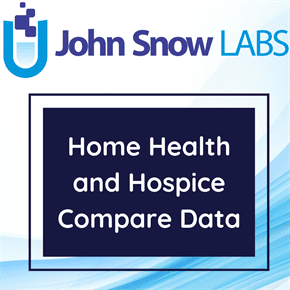 This dataset contains the list of all Home Health Agencies that have been registered with Medicare. The list includes addresses, phone numbers, and quality measure ratings for each agency. In November 2002, the Quality Initiative was launched to ensure quality health care for all Americans through accountability and public disclosure. The initiative aims to (a) empower Americans with quality of care information to help them make more informed decisions about their health care, and (b) stimulate and support providers and clinicians to improve the quality of healthcare. The Quality Initiative was launched nationally in November 2002 for nursing homes (the Nursing Home Quality Initiative), and expanded in 2003 to the nation’s hospitals and home healthcare agencies. On September 25, 2006, the Agency for Healthcare Research and Quality (AHRQ) published a call in the Federal Register for survey items or measures representing areas of quality home healthcare that are viewed as important to consumers, their families, and intermediaries and initiated a review of existing literature in the area. AHRQ developed a draft survey instrument after several rounds of cognitive testing. A field test was conducted in 2008 with 34 home health agencies to test the psychometric properties of the survey and finalize its content. A final Home Health Care CAHPS Survey was developed in the summer of 2008. The Survey was endorsed by the National Quality Forum in March 2009 and approved by the United States Office of Management and Budget in July 2009.